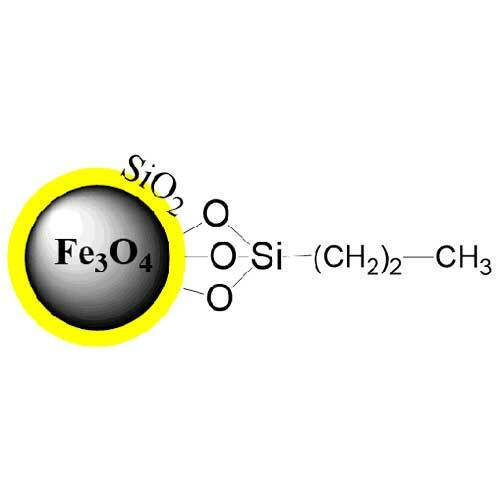 EPRUI C3 silica magnetic beads are silica coated iron oxide magnetic beads functionalized with hydrophobic C3 propyl groups on the surface. EPRUI-MagC3 magnetic silica beads are recommended for purification, desalting and concentration of low molecular weight proteins or peptides. For low to intermediate molecular weight proteins, EPRUI-MagC3 magnetic beads are preferred.